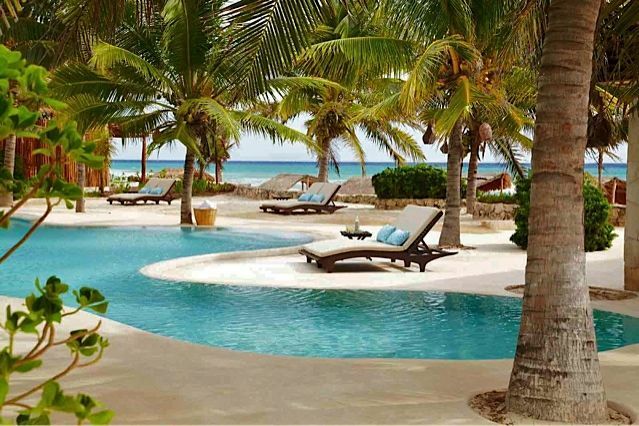 Hidden in a small village of Playa Xcalacoco just outside Playa del Carmen, along the pearlescent sands of the Riviera Maya, Ikal del Mar is a seaside refuge extending deep into the primitive Mayan tropical forest. 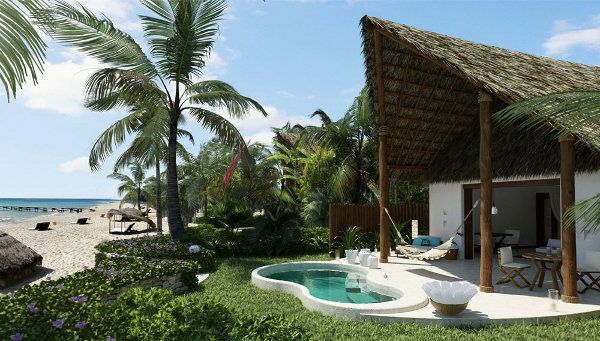 The 30-villa property and its stunning spa present the epitome of Mayan Riviera beach unpretentious luxury, exuding the ambience of an exclusive private Playa del Carmen villa or opulent residential compound. 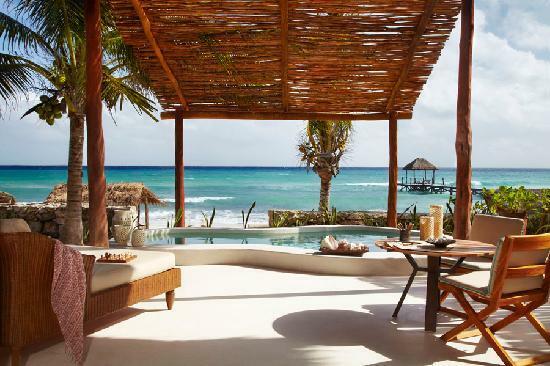 Indulge in Massages, Facials, and Fitness at the luxury Mayan Spa, a Full-Service Hotel Spa near Playa del Carmen. The spa’s special Phyto-dermocosmetic products tap the wisdom of ancient Mayan traditions, utilizing Mexican herbs with potent healing benefits for both body and soul. 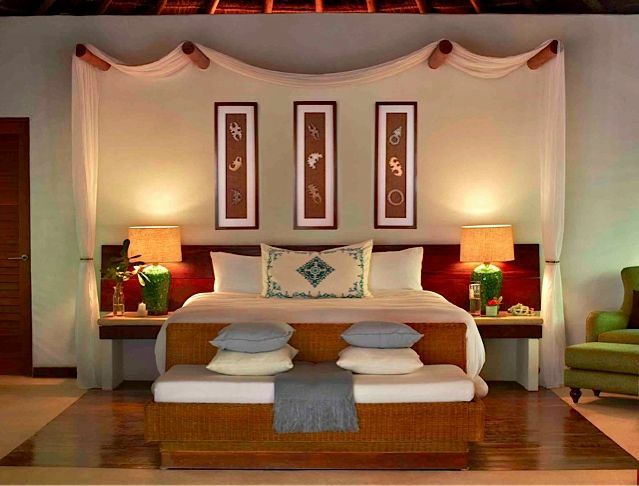 As upscale as the hotel itself, the spa offers a steam room, Jacuzzi, Swiss shower, yoga classes, a Temazcalli Mayan sauna and a Jungle Spa suite. Azul, the fine poetry of dining in Playa del Carmen, specializes in Mediterranean, Mexican and Mayan cuisines. Guests can also choose to dine anywhere, anytime… on the beach, poolside, or in the privacy of one’s villa. All breads and pastries are made at the resort. 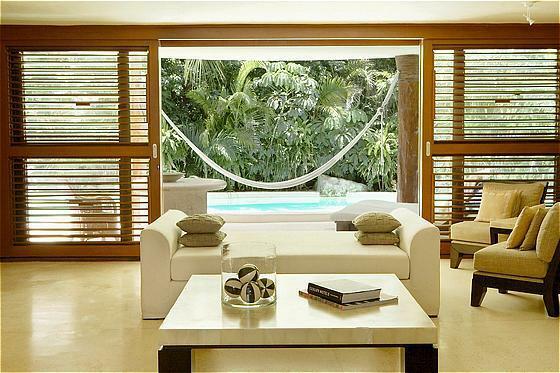 Each villa features over 1000 square feet of secluded space, an outdoor terrace replete with chaise lounge, dining table, handmade crochet hammock and outdoor shower.